Chop into pieces as you like. Crush garlic and fried it in a pan together with turmeric powder. Place banana bud in a bowl, add salt, fried garlic, sesame seeds, chopped chili and lemon juice. 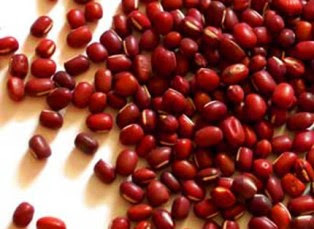 Place red bean in a bowl and add water at night. Crash the red bean using a spoon. Crash ginger and add it to red bean. Put a little bit of salt and one cup of sticky rice powder. And mix altogether. Heat the pan and cook the cooking oil, and fry the read bean. Fried red bean with coffee. That is very nice breakfast for Myanmar people. "Cosmos" , the Greek word for harmony or ordered universe.